December’s Hat Attack features a collaboration with Iva Ksenevich HERE, an international milliner based in Moscow, who has customers in France, Italy, the USA, Shanghai, Finland, Serbia, Russia, Germany, Libya, Israel, Australia etc. I met Iva on Instagram, and was fascinated with her magnificent designs. I’m honored to wear Iva’s creation for this month’s Hat Attack. “One day everything changed, when by an accident I traveled to London. I was mesmerised by the styles people wore there. All these hats, crazy combinations with clothes, yet quite sophisticated and extremely stylish. I understood one thing – it’s the hat – that makes all the style complete. And since there was a bit of free time and a bit of money, I decided to go for it and try to take a course in millinery. My first teacher was Rose Cory – an oldish funny lady, who made hats for the Queen, had an adorable sense of British humour and was in love with hats since she was 13. You should have seen her hands, when she was working – these were butterflies! I have never seen such fluency in handwork. 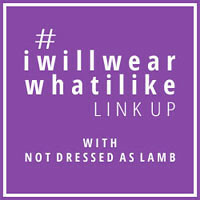 Linking up with Catherine’s #iwillwearwhatilike HERE at Not Dressed As Lamb. Anyone can participate in the celebration of headwear! All you need is a URL, which can be acquired from Instagram, Facebook or your website. All forms of headwear are appreciated: hat, headwrap, headscarf, headpiece, fascinator, hair flower, headband or other adornment for your head that you enjoy. Multiple photos are encouraged! Judith, I hope to meet you are some point. We have similar histories and experiences, not to mention our yoga practice. I so enjoy reading your writing and thoughts. I love Iva’s hat and her story…and also your gorgeous shawl. Perfection! SHE IS SO YOUNG………I shall look her up on insta!Even though I am on my little LEAVE………….shhh don’t tell! Beautiful hat and styled so well with the berry shades. Bravo! This hat is truly stunning – and you created a wonderful and vibrant outfit around it. Beautiful hat, both its style and colours and what a talented milliner she is. I remember some of her hats modeled to perfection by The Idiosyncratic Fashionistas a while ago. Your outfit showcases the hat perfectly. Thank you for bringing hat lovers together. I love that you are able to meet so many creative people through hats. What an unusual wonderful piece. A beautiful, graphic statement piece, Judith.